Monday-Friday: 10 a.m. to 5 p.m.
James and Kathy Naklick, own and operate The Manor House and Creative Imaging. 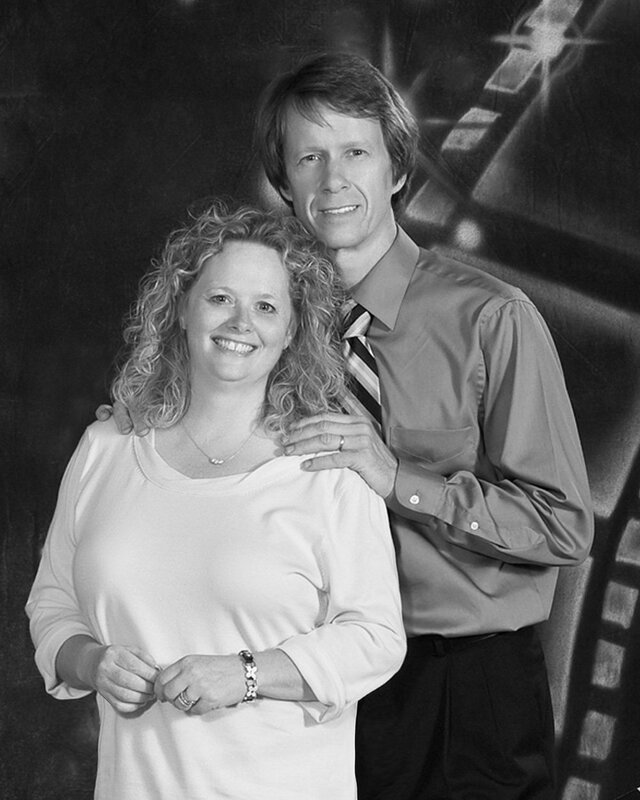 We have been professional photographers for over twenty five years. 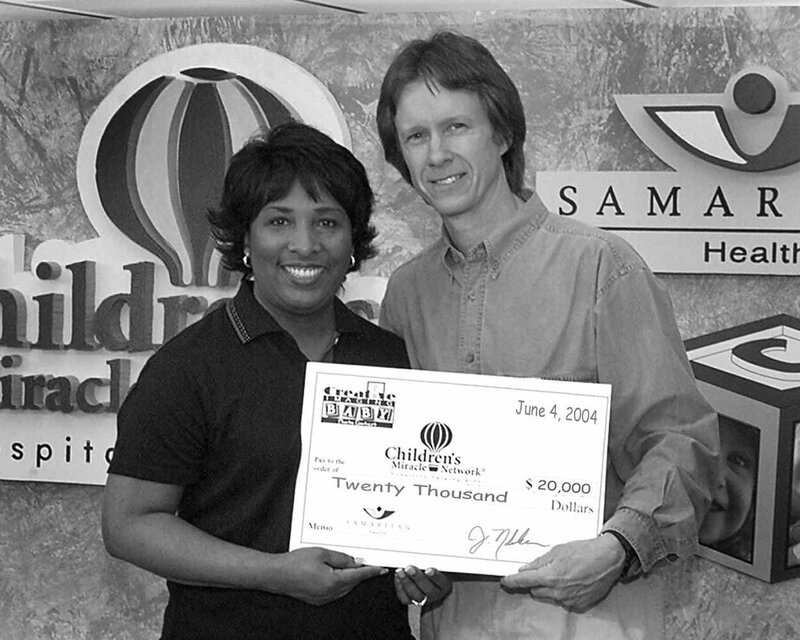 Jim is shown here presenting a check for $20,000.00 for money raised in the Creative Imaging Baby Photo Contest held annually at the Salmon Run Mall. Also shown is Jocelyn Mejias, director of the local Children's Miracle Network. 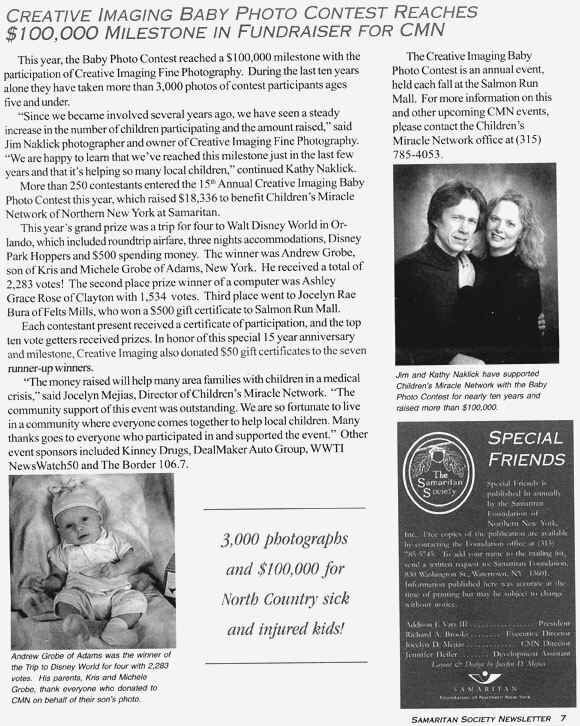 Jim and Kathy Naklick areshown here presenting a check for $20,000.00 for money raised in the Creative Imaging Baby Photo Contest held annually at the Salmon Run Mall. Also shown is Jocelyn Mejias, director of the local Children's Miracle Network.